For established ecovillages, intentional communities, co-housing and similar communities that meet the GEN Australia Criteria for an ecovillage or sustainable intentional community. Membership includes two representatives of the community to be contact points for GEN Australia. Please click here to apply and fill out the application form. For like-minded organisations from all sectors that wish to support activities and projects of GEN Australia. A range of $100-$1500 per annum. For emerging Ecovillages, Ecovillage projects, cohousing, Ecovillage Networks. GEN’s intention is that communities who do not yet meet the criteria for full membership can access the benefits of participating in the network. $100 per annum. To become a supporter please fill in your details here. 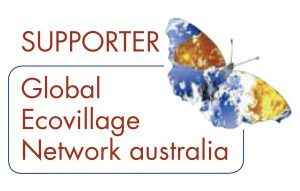 This category exists to provide access to our network for individuals interested in supporting and promoting the aims of GEN Australia. Applications to be a ‘Mates of GEN Australia’ are also invited from people who have worked with GEN previously, regardless of their current community living situation. FOR ANY PERSON OR COMMUNITY THAT MAY NOT BE ABLE TO RAISE THE FUNDS NEEDED TO BE A MEMBER OR FRIEND PLEASE CONTACT SHANE here– to arrange alternatives. Available to organisations whose values support sustainable living. For more information on sponsorship please see here.